This Distributor was designed for racers and street rodders that have space limitations due to firewall interference, blowers or oversized intake manifolds such as tunnel rams. 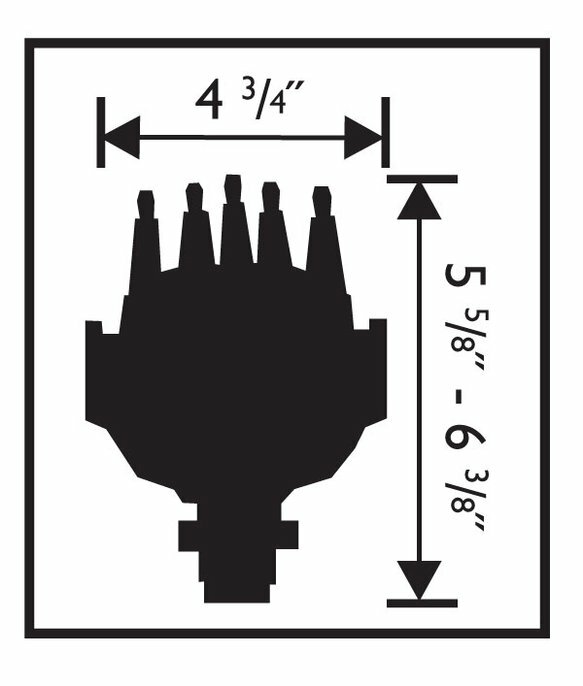 The distributor is 3/8" narrower and almost 1" shorter than a standard distributor. 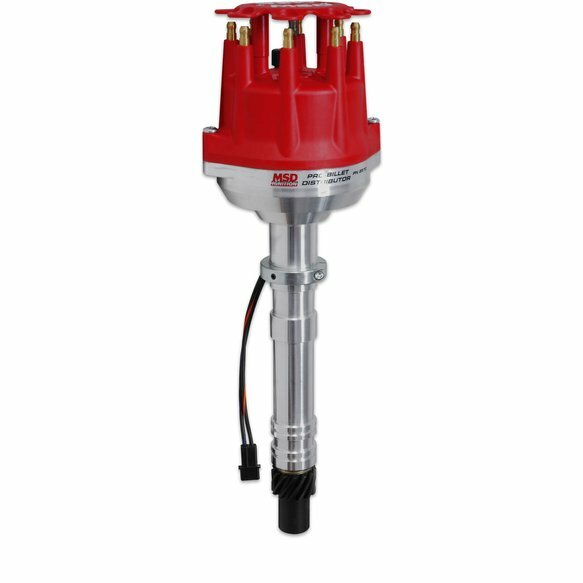 Proven performance features include a high output magnetic pick-up and precision machined reluctor for accurate ignition triggering. A fully adjustable mechanical advance allows you to tailor the advance curve to your specific application. Topping it all off is our own small diameter cap. This is molded out of durable Rynite® material and comes with an optional wire retainer.